The Klaipėda Regional State Archives (Li: Klaipėdos krašto valstybinis archyvas) is one of the Regional State Archives in Lithuania. The Klaipėda Regional State Archives preserves documents of regional state, municipal, non-state institutions and individuals of the Telšiai, Akmenė, Mažeikiai, and Plungė districts from 1945 until the present day. Archives is also involved in supervision of records management of local public institutions. Any digitized records of the Klaipėda Regional State Archives will be hosted at the National Library site, ePaveldas.lt. 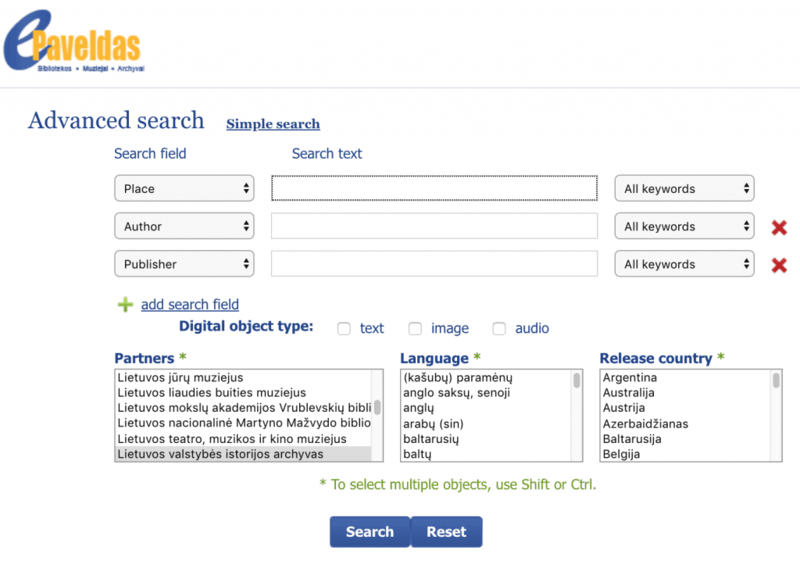 You can see any online collections from this archive by using the advanced search window at ePaveldas.lt and filtering search results by “Lietuvos valstybės istorigjos archyvas” or use the Search field and filter by one of the locations (with or without the diacritics) overseen by this archive (Telšiai, Akmenė, Mažeikiai, and Plungė). You can copy and paste text into Google Translate if you can’t read the original language. Let Google Translate auto-detect the language because it may be Lithuanian, Russian, etc.